Ever since the app launched in July, Pokémon Go has unleashed a frenzy of human activity, but it seems like people in Belgium might be approaching the game in a far better (and educational) way. Belgian residents are catching books, not Pokémon, since one Belgian teacher came up with a pretty innovative Pokémon Go based game that is taking off in the region. Currently, there are around 40,000 users, Reuters reported, but seeing as how this new game's muse, Pokémon Go, took off, we might all be hunting an edition of Harry Potter and the Cursed Child instead of Jigglypuff. 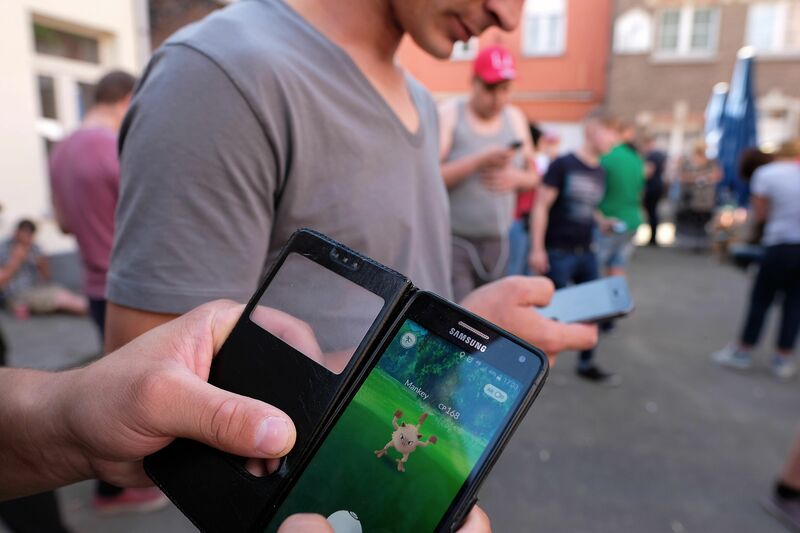 Aveline Gregoire, a Belgian primary school teacher, created an online game that allows people to hunt for books instead of Pokémon and has attracted tens of thousands of players in weeks, Reuters reported. Gregoire's game isn't as technologically sophisticated as Pokémon Go, though; instead of a mobile's GPS and camera to catch cartoon monsters around the town, this game is facilitated through a Facebook group called "Chasseurs de livres" which means "Book hunters." Pretty clever, right? How it works: Players take photos of the book and then have to hide them, after which they post on the group with some hints and clues to spur others to go hunt them down. And once you're done with the book, you're supposed to "release" it back into the wild. In an interview with Reuters, Gregoire said, "While I was arranging my library, I realized I didn't have enough space for all my books. Having played Pokémon Go with my kids, I had the idea of releasing the books into nature." The hidden treasures span a wide variety, making the game as inclusive as possible, as books range from Stephen King horrors to storybooks for toddlers. They're wrapped in clear plastic and nestled in nooks and corners of Belgian towns. Reuters also spoke with a family in a town in southern Belgium who now use "Book Hunters" in their daily morning walks. "My daughter said its like hunting for easter eggs, only with books," Jessica Detournay told Reuters. This game seems to come at a pretty opportune moment; recent reports are indicating that the Pokémon Go app might be on a decline. According to Bloomberg, data released from mobile marketing companies all illustrate a shrinking Pokémon Go pool of users. It went from almost 45 million daily active users to 30 million in less than a month. Other metrics like engagement, time spent and daily downloads have all declined, too. This might be good news for Gregoire who is apparently considering turning his game into an app, since it's become a pretty big hit in Belgium.